Home bideo dog health health news kids pit bull story A Pit Bull Just Wanted To Be Loved, But Kids Threw Rocks At Him. Then This Happened. 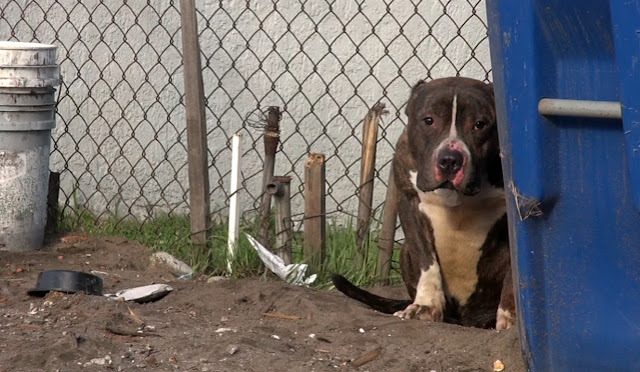 A Pit Bull Just Wanted To Be Loved, But Kids Threw Rocks At Him. Then This Happened. Stray dogs aren’t an abnormal sight. Sometimes, though, those dogs are abused by passersby instead of being helped. Take this dog, Buddha, as an example. He’s been injured by neighborhood children who threw rocks at him. Now he’s terrified, hiding away from people. That’s until Paws For Hope intervened. A truly touching, but also heartbreaking, video.